In the fall of 2017, Facebook rolled out a new optimization option for Facebook ad campaigns, called Landing Page Views. One reason I love Facebook ads so much is because the algorithm is so sophisticated that it looks at multiple data sources to try to help you get the most results for the lowest cost. One way it does that is by paying attention to the optimization method you choose in the Ad Sets screen so it can find more people within the audience(s) you select who are likely to take that action. That’s why, we usually see our costs decrease over time as the algorithm obtains more information as to who is taking that action. The closest option before Landing Page Views was to optimize for Link Clicks. They are very similar, but there is a slight difference. Now that there’s this new option for Landing Page Views, how does it differ from Link Clicks? Simply put, a Link Click is when someone clicks on your ad. Facebook tracks the activity of its users to determine who is likely to click, like (or react), comment, share, and/or convert. When you set up your ad sets to optimize for specific actions, Facebook will consider who in the audience(s) you select are more likely to take those actions. It will ensure that your ad appears in front of more of those types of people. 👉 👉 👉 This is how the algorithm helps to ensure that you get the most amount of your desired results for the lowest cost! Why should you choose Landing Page Views over Link Clicks? When you optimize for Link Clicks, Facebook will show the ad to people who are more likely to click those ads — based on their past actions and the audience you selected in the ad set. With this optimization option, the goal of Facebook’s algorithm is to find more people like this who will click on your ad. However, Landing Page Views takes this strategy a micro-step further because you’re not only trying to optimize for those who click the ad but also for those who actually load the landing page. In the online business world, we know there’s usually a slight delay from when someone clicks the ad and the entire page loads. Sometimes it can take a second or two to load the landing page, and not all users are patient enough to wait. The image above demonstrates this really well. Choosing Landing Page Views as the optimization method means that Facebook is going to be looking for individuals who not only click but ALSO take the time to load the page. This means these users are one step close to digesting your content, clicking affiliates links, or opting in to join your email list. At first, I was hesitant to test it out with my clients and students of my course, Flourish with Facebook Ads. Because most of my clients and students use Facebook ads to drive traffic to their websites, landing pages, and blog posts. And before this new option, choosing Link Clicks was the best choice for getting the most clicks to your website. However, after a bit of testing and researching, I’ve confirmed that Landing Page Views is a great alternative for getting more eyes on your landing pages! Let’s take a look at Landing Page Views versus Link Clicks and why each one might be better for your campaigns. To fully understand the difference between Landing Page Views and Links Clicks for Facebook ads, you need to know all of your optimization options. Optimization for a traffic campaign or a conversion campaign means that Facebook’s algorithm is going to go to work for you. The goal of Facebook’s algorithm is to find the best people within the audience(s) you select, and hone in on the users who are more likely to take the specific action you want. If you want users to click, then Link Clicks is the action you want to optimize for. If you want users to read a blog post, then Landing Page Views is the action you want to optimize your ads for. When the main goal of your campaign is to drive traffic to a blog post or landing page, then you’ll likely use the traffic objective. This communicates with Facebook that you want people to click on the ad to arrive on your landing page. In this case, your options for a traffic campaign are to choose between Link Clicks, Landing Page Views, Impressions, and Daily Unique Reach. Facebook used to only offer Link Clicks, Impressions, and Daily Unique Reach as the optimization options for traffic campaigns. Optimizing for Daily Unique Reach means that Facebook will help your ad reach the most number of people. While optimizing for Impressions means that Facebook would show your ads as many times as possible. However, for traffic campaigns, your main goal is to get the user to click so these options were not the best choice. This is why I have always recommended Link Clicks for traffic campaigns in the past. But maybe not as much anymore! This is why I now suggest that the new Landing Page Views option might be the best choice for traffic campaigns. When the main goal of your campaign is to drive traffic to a blog post or landing page AND complete a sign-up form or make a purchase, then you’ll likely use the conversions objective. This communicates with Facebook that not only do you want people to click on the ad to arrive on your landing page, but you also want them to take a specific action on that landing page. Conversion campaigns also offer Links Clicks as one of the optimization options, but choosing Conversions is still the recommended optimization choice. You want someone to not only click but to also OPT-IN which is an extra action versus just clicking the ad. For the most part, when it comes to conversion campaigns, I recommend that business owners choose Conversions as their optimization method. The more conversions an ad set has, the better the algorithm can optimize to help ensure your ads are seen by the right people. If you’re promoting a high-dollar offer and the goal of your campaign is to drive sales, there will likely be fewer conversions. In this case, it may be better to optimize for Landing Page Views to provide Facebook’s algorithm with more information so that it can find more people who actually load the page and will be more likely to purchase. When creating a traffic campaign, it makes the most sense to test out the Landing Page Views option. For a conversion campaign, it still makes the most sense, in most cases, to optimize for conversions — since that’s your main objective for the campaign. Remember, the exception to this is if you have a high dollar offer where the conversion rate may be lower. Let’s say you’re promoting a high-ticket course or an in-person event. There may not be as many people purchasing, but driving more qualified traffic to the landing page would likely increase potential conversions. In this case, you may want to optimize for Landing Page Views so Facebook will have a better idea of who is loading the page and show your ads to more people like them. For example, if your campaign has a total of 5 conversions. This won’t provide enough data to Facebook for it to optimize and find more people within the audience(s) you selected to improve results over time. In most cases, though, for a conversion campaign, you should stick to the conversion optimization option and test out the Landing Page Views option as needed. Now that you know the difference between the Landing Page Views optimization option and the Link Clicks optimization option for Facebook campaigns, test them out and let me know what you find. 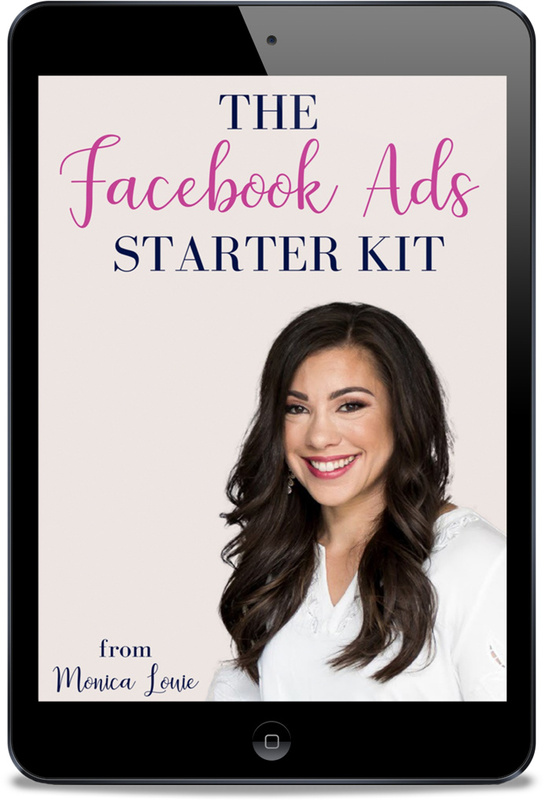 If you’d like another awesome resource to help you optimize your Facebook ads, check out my free guide, 5 Questions to Ask Before Spending Any Money on Facebook Ads. Or just click the download button below to access the guide for free! Thank you. This is the first article I have found that clearly explains the Conversion campaign to Landing Page Views objective. I have the conversion Pixel Set up on the conversion thank you page. I have in the last 7 days – 93 views of the landing page and 16 conversions on the thank you page. What should I be choosing at Ad Set level for Conversion Event Location? All FB ads go through to a landing page with a sign up for 1/2 price sample offer discount code. If you’re optimizing for landing page views, then you’ll also need to make sure that the pixel is on the landing page that you’re linking to in your ad. In most cases, I would recommend setting up a conversion campaign and optimizing for conversions. You’ll create a custom conversion using the Thank You page URL so that Facebook will be able to report and optimize for those conversions. It depends on what your strategy is. This post is specifically regarding traffic campaigns, which we use to drive traffic to monetized blog posts for our clients. If your goal is conversions (i.e. sign-ups or purchases), then you’ll want to use the conversion objective in most cases.